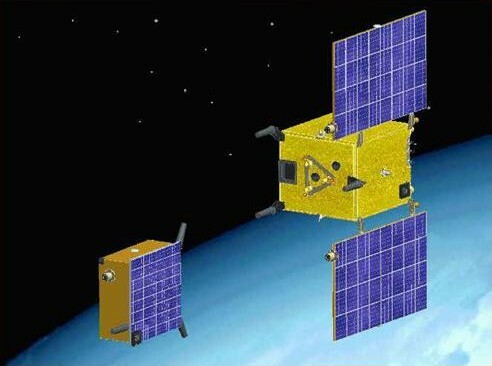 2 satellites or more just tens of metres apart, sharing a payload and together constituting an instrument with much greater capability than a single satellite could provide. Such is the tantalizing prospect that formation flying offers for space science. CNES is today taking a major step in this direction through its commitment to the highly innovative Swedish PRISMA1 programme. In a sense, “divide and rule” is a motto that could apply equally well to formation flying. When an instrument is too large to fly on a single satellite, due to the precision requirements of its mission, sensors can be distributed on several spacecraft positioned and oriented with extreme care. In this way, we can recombine sensors to form a very large instrument, for example a telescope with a very long focal length or a very-long-base interferometer. CNES is making formation flying one of its strategic objectives. This innovation paves the way for new science and social applications. A demonstration mission to fly an astrophysics observatory called Simbol X is already in development. Mature formation-flying technologies will put CNES and European industry in prime position to design and implement futures missions of this kind. CNES has joined Sweden’s PRISMA technology project designed to test formation-flying and in-orbit rendezvous manoeuvres and techniques. This mission led by SNSB2 will place 2 satellites in low-Earth orbit. Both satellites will fly together in the same orbit. The main satellite will move towards and away from the smaller and lighter target satellite, which will simply follow its initial trajectory. The PRISMA mission intends to validate guidance, navigation and control algorithms. It will also seek to prove sensor technologies for autonomous control and rendezvous of 2 satellites flying in formation, as well as for proximity operations including manoeuvring. CNES is supplying a radiofrequency metrology system for PRISMA that will measure satellite range and orientation. Radiofrequency metrology is vital to establish the satellite formation, adjust its geometry and avoid collisions, as well as for navigation during the deployment phase and positioning during the operational phase. PRISMA will also test a cold-gas microthruster system that could become a real alternative to electric thrusters. 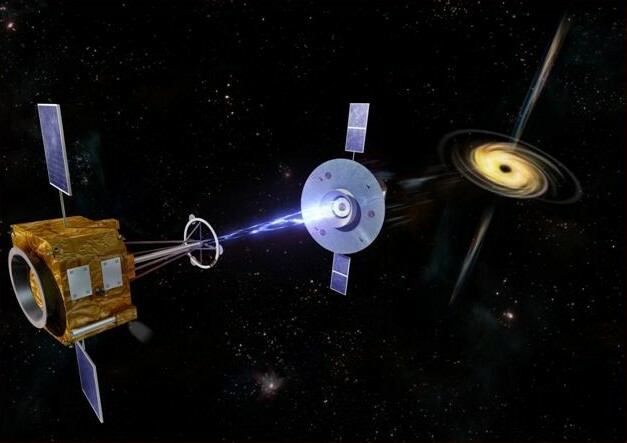 The PRISMA programme is a cooperative effort between SNSB, CNES, German aerospace research centre DLR and the Danish Technical University (DTU). PRISMA is scheduled to launch in the 2nd half of 2008.